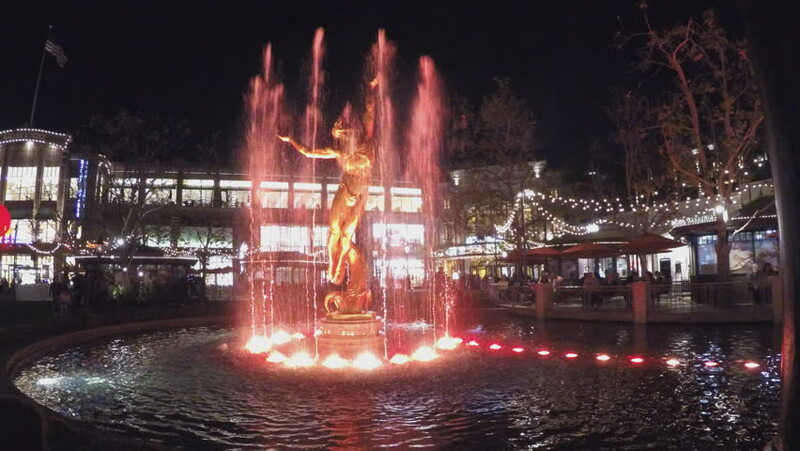 GLENDALE, CA/USA: February 21, 2016- Golden statue of Prometheus features a ring of colorful dancing water jets. Fountains are used to enhance shopping experience at The Shops At Brand. 4k00:06Miami Beach, August 2017. Hotel Victor and boulevard with cars driving on Ocean Drive, nighttime. 4k00:20The burning ghats of Varanasi, India viewed from the river. 4k00:25Aerial France Lyon June 2018 Night 90mm Zoom 4K Inspire 2 Prores Aerial video of downtown Lyon in France at night with a zoom lens. hd00:20Driver's POV driving through the illuminating Tokyo Gate Bridge during twilight. 4K variation available at Clip ID 9127304, night version Clip ID 6171539. Sun setting over the airport and Tokyo Bay. 4k00:053D animation of abstract floating triangles in bright colors. 4k 3D animation.